US Patent No. 8,721,916 82, 13 May, 2014 a replacement for R22. (view patent document) . Please contact the company at www.HCR188C.com; Richard@astrust.com; or telephone 808-235-1890 for more information. Saipan - August 2015 - MARO Corporation appointed new distributor for HCR118C1 products in the Northern Mariana Islands, Guam and Saipan. Kaneohe, Hawaii - 02 April 2014 - Global Eco Innovations Co. Ltd. Japan (GEIJ) (www.gei-jp.com), an energy-savings sales and consulting company in Tokyo, Japan, has agreed to represent A.S. Trust & Holdings, developer of the climate-friendly hydrocarbon refrigerants R441A and R443A, in creating a network of distributors in Asia. GEI Japan, along with its subsidiaries GEI Thailand and GEI Korea, offers total sustainable energy solutions that provide ways to make, store and use energy. The company sells photo-voltaic- and wind-generation systems along with back-up power-storage systems and energy-efficient LED lighting systems. GEI Japan will be expanding its product line with energy-saving air conditioning systems based on R441A, a substitute for R134A, and R443A, a substitute for R22 refrigerants, as well as identifying and recommending to A.S. Trust & Holdings candidate companies for Asia-based distribution of these products. In addition, GEI Japan will have the exclusive right throughout Asia to manufacture and sell an A.S. Trust-developed safety valve that works in conjunction with all types of refrigerants. GEIJ also offers total energy solutions to its customers by providing ways to make, store and use energy. It produces sustainable energy via both photo-voltaic and wind power generation equipment; it also sells back-up power-storage systems and a broad line of LED lighting systems, and is moving into energy-efficient air conditioning systems. Based in Chiyoda-ward, Tokyo, Japan, GEIJ has offices in Thailand and Korea, and is opening additional offices across Asia. Website: www.gei-jp.com. With effect from Monday, July 15, 2013 , AS Trust agreed to signify its relationship with hydrocarbons21.com by displaying the latter's Bronze Partnership logo alongside its own in future presentations and advertising. Kaneohe, Hawaii – July 10, 2012 – Green natural refrigerants continue to make the news, but their application to commercial and residential products has waited for the cooling industry’s equipment designs to keep pace. Now A.S Trust & Holdings, developer of the climate-friendly hydrocarbon refrigerants R441A (HCR188C1), a substitute for R134A and R443A (HCR188C2), a substitute for R22, has moved forward by designing a safety valve to provide a safe operating system when dealing with flammable and/or toxic refrigerants. (See final spec sheet for Safety Valve SV001A under "Guidelines For Usage"). 23 May 2012 - United States Environmental Protection Agency confirm Completeness Determination for SNAP Submission for Use of R-441A in Vending Machines. January 2012 – The American Society of Heating, Refrigeration and Air-Conditioning Engineers (ASHRAE) at its annual convention designated HCR188C2 as R443A. April, 2011 - HCR188C2 acquired Patent Pending status. January 31, 2011 – The American Society of Heating, Refrigeration and Air-Conditioning Engineers (ASHRAE) at its annual convention designated HCR188C as R441A. 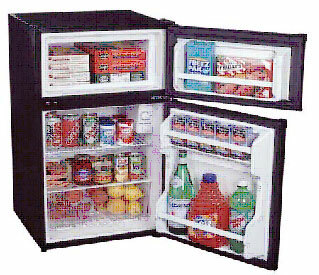 November 9, 2010 – A.S. Trust & Holdings announced the beginning of limited production of the first-ever Green Household Refrigerator, the “188,” a standard 21-cu-ft home refrigerator freezer using R441A/HCR188C. The model is currently undergoing energy-reduction assessments, and will be submitted to the Department of Energy (DOE) for Energy Star ratings. A.S Trust & Holdings is negotiating for assembly of the refrigerator in the United States, under the Climate-Friendly 188 brand, as part of its policy of keeping employment in America. Future products bearing the new Climate-Friendly 188 energy-savings label will include household window air-conditioning units. September 2010 – Public comment period ended (zero comments filed) for listing HCR188C with the American Society of Heating, Refrigeration and Air-Conditioning Engineers (ASHRAE). July 2010 – Public comment period ended (via the Federal Register) regarding approval by the U. S. Environmental Protection Agency (EPA) of HCR188C to be listed as an alternative refrigerant for household refrigerator/freezers (nil negative comments). 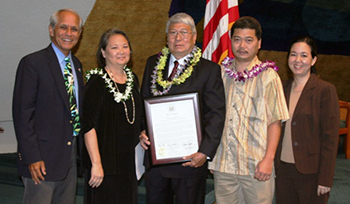 April 2009 - Inventor Richard Maruya awarded the Hawaii State Senate Commendation Award in recognition of his efforts to develop a superior refrigerant. December 28th, 2008 - EPA issues Final Completeness Determination under the Significant New Alternatives Policy (SNAP) program. HCR188C approved for sale in the United States as a replacement for CFC-12 (R12) coolant fluid in household refrigeration and air conditioning units. 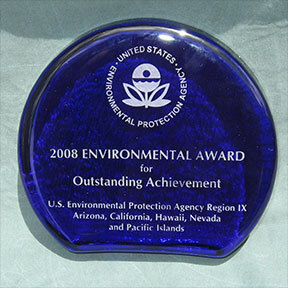 April 2008 – Richard Maruya honored with the 2008 Environmental Award for Outstanding Achievement from the EPA’s Region IX office in recognition of his efforts and commitment to protecting the environment through the development of HCR188C. The U.S. Congress notes his “innovative work developing the Hydro Carbon Refrigerant 188C [as] an environmentally safe and efficient alternative to the traditional hydrocarbon-based products harmful to the ozone layer”. February 2007, the Intertek Company in Cortland, NY commenced testing HCR188C (in a plant refrigerator) and to date (February 2011) is completely satisfied with its operation. In addition, A.S. Trust & Holdings has been running the formulation in the air-conditioning system of a 1996 Toyota T100 truck for over six years (65,000 miles) without having to recharge the system. The compressor has been taken apart and the internal components examined under magnification; the filter revealed very little residue and the parts were spotless, and the O-rings and hoses were in excellent condition. A.S. Trust & Holdings believes that a vehicle a/c system operating with R441A/ HCR188C would last a minimum of ten years.